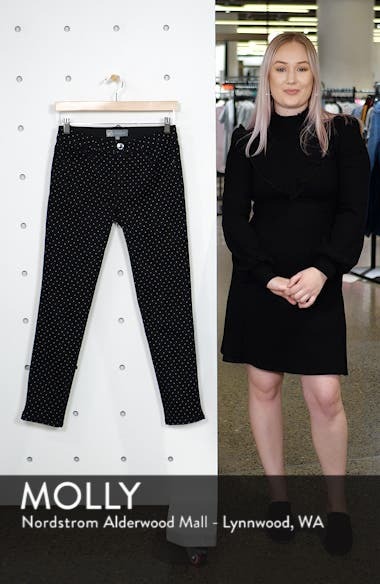 Peppered with polka dots and perfectly polished, these high-rise jeans feature Ab-solution power-mesh panels to shape, smooth and lift in all the right places. Choose a sizeTrue to size. 0=25, 2=26, 4=27, 6=28, 8=29, 10=30, 12=31, 14=32, 16=33. High rise.